No, I am not suggesting a new outreach program, but then again I don’t know what kind of party is at your library. Rather, here is a post devoted to a tried and true piece of librarianship: the love of a good book. And the ways in which we can subvert those books we dearly love. 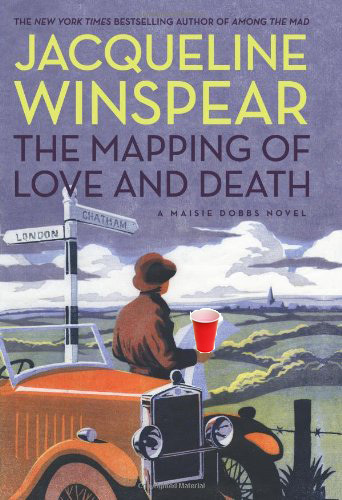 Inspired by the Jane Austen Drinking Game, I bring you the Maisie Dobbs Drinking Game. If you have not read Jacqueline Winspear’s original contribution to the detective genre, get thy self to a library. 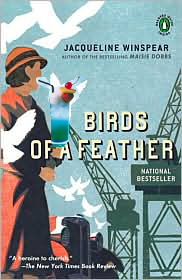 Set in post-World War I Britain, Maisie Dobbs is a Psychologist and Investigator who solves mysteries using intuition, a chameleon-like personality and her trusty cockney assistant Billy Beale. Having moved up from her station in life, Maisie nagivates the messes the Great War has left in its wake to help people solve their issues along with their mysteries. It’s half New Age-y Agatha Christie, half “Upstairs, Downstairs” and 100% satisfying! ‘Tis very important to read them in order, unless you don’t mind knowing who dies or the ins and outs of Maisie’s semi-love life. Throw in some great fashion descriptions and you’ve got yourself the first mystery novel I’ve ever enjoyed. Thanks so much for alerting me to this series! I read my first Maisie book on Saturday in one sitting.